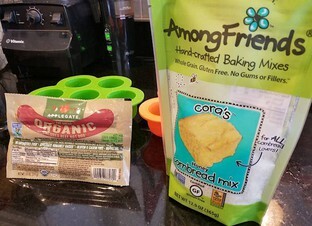 Make the cornbread mix per the directions. Cut up the hot dogs. 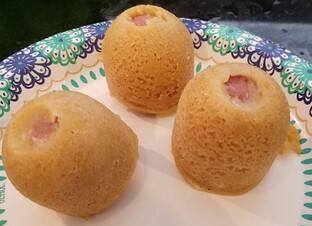 Add hot dogs pieces & cornbread batter to mold cups. I filled them to the top over the hot dogs and it was the perfect amount for both molds. Add water & trivet to pot (1cup for 6qt pot; 1.5 cups for 8qt pot). Loosely cover molds with foil, and stack the molds on top of the trivet. Cook for 15 minutes on high pressure, 8 minutes Natural Pressure Release.